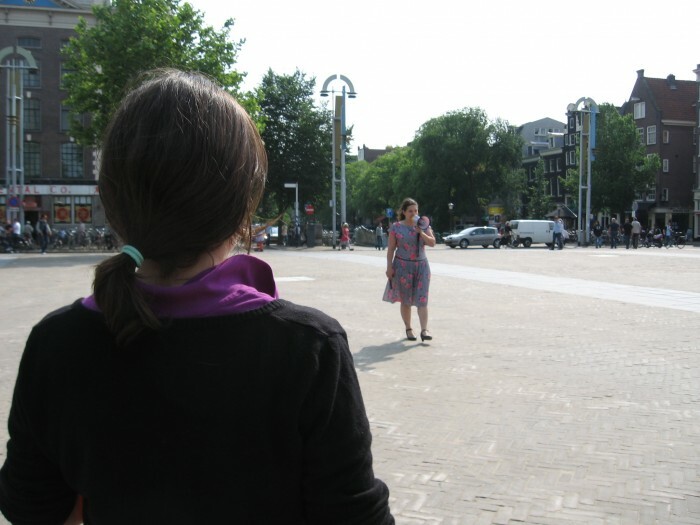 The Space Between was an intensive eight-day laboratorium (25 May – 2 June 2007) held at the Beeldmedia Studio, the Waag and on the streets, for students of the MA Dance Unlimited programme of the AHK, students from the HKU and invited guests. The lab focussed on exploring and challenging the relation of the artist, performer and spectator to urban topologies of space and place. The perceptions and sensations of everyday life, situated in contemporary urban experience is inclusive of private and public, enclosed and open space as well as the data saturated space of networked connectivity. As a working-space, the Space Between Lab functioned on multiple planes. It iwas meant to facilitate and challenge young artists to engage with fresh conceptions of and distinctions between, space, place and non-place. How might perceptions and sensations of “space” affect performative relations to specific contexts of “place” in the theatre, public domain and the invisible but real dataspace all around us? The lab took a radical empirical approach to relations between technologies and the body – focusing on the experience of experience itself. The Lab was co-hosted by artist Michelle Teran and Sher Doruff (Waag Society) with a special guest lecture on Hybrid Space by theorist Eric Kluitenberg (de Balie) on 26 May. Technical support was provided by the Waag Society’s technical team. Additional dramaturgical support was supplied by Nancy Mauro-Flude. 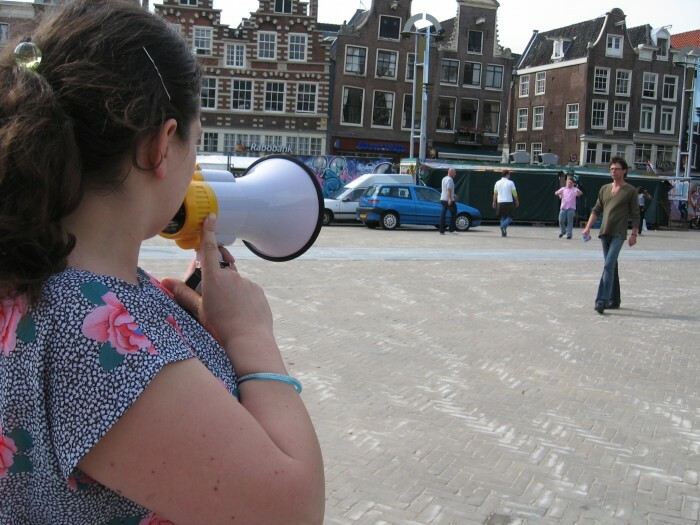 One of the final results of the workshop was a collaborative networked performance piece by all the participants, that linked together the Nieuwmarket square with the Beeldmedia Studio of the Theater School. 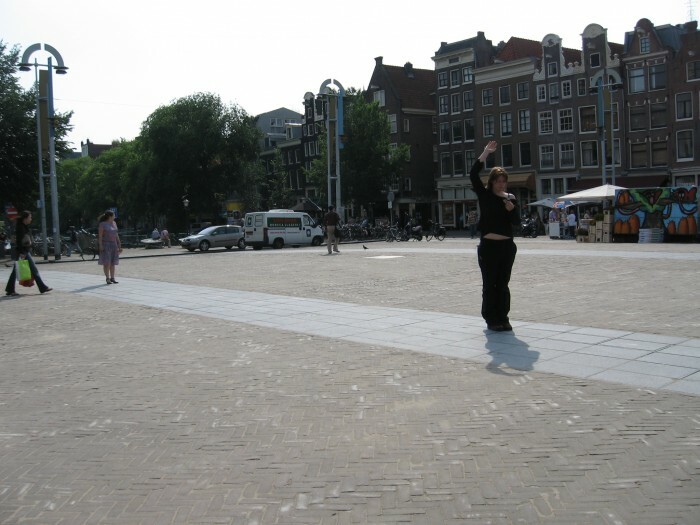 During this performance, people walking with gps enabled phones would send images and text from the square. 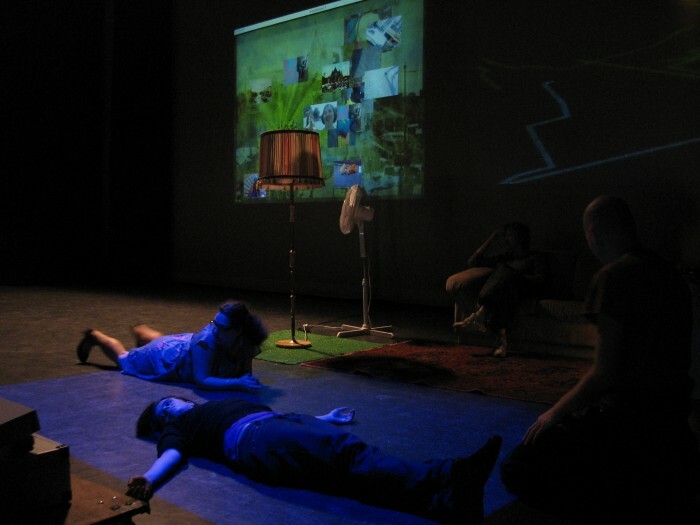 In the Beeldmedia Studio of the TheaterSchool, incoming messages of sounds and visuals were dynamically adapted on several screens. The images appearing on the black screen corresponded to where people were standing in the square. 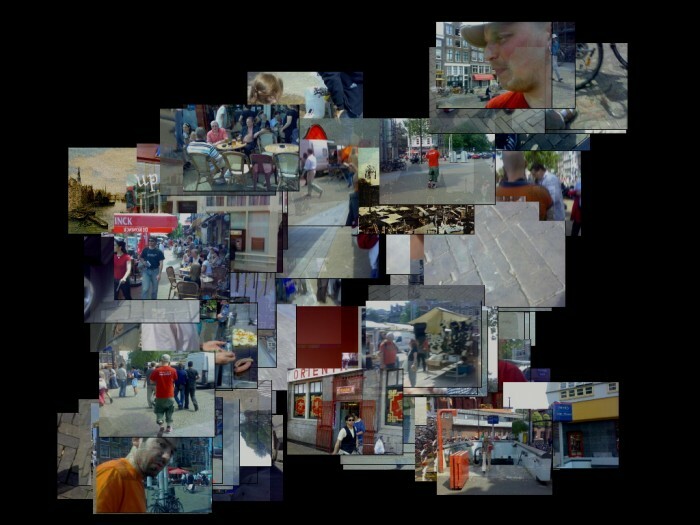 As more images were sent and more movements were made through the Nieuwmarkt, the screens became more saturated with images. 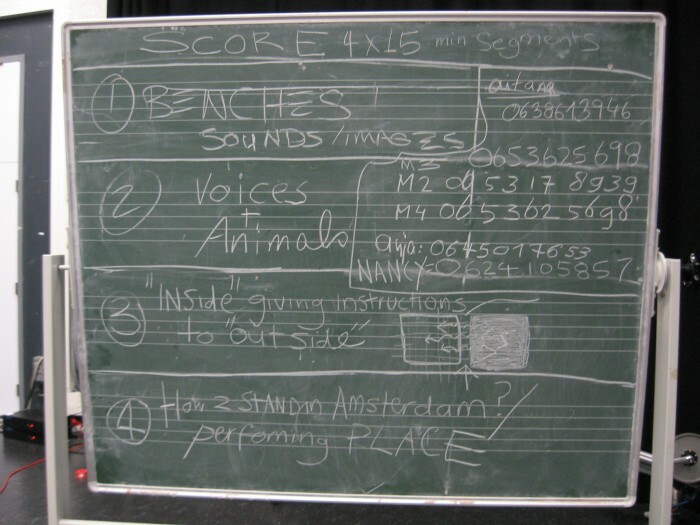 Performers within the theater space created improvisations to the incoming information. Theater lights and fans were also triggered depending on the location of the persons on the square. Comments closed — Trackback URI RSS 2.0 feed for these comments This entry (permalink) was posted on Friday, February 27, 2009, at 2:02 am by admin. Filed in Teaching/Workshops.